"Growing moringa for the africa child sponsorship programme feeding the African children in DR Congo Uganda Tanzania Malawi Zambia Nigeria"
• Fencing the selected hectares of pastoral or agricultural land – wire fence or living fencing of Moringa planted at 1 meter intervals can be used. Seen here MaMa Pinos planting trees around the border of the land donated to UCT. We hope to start our first African Moringan project on this land. 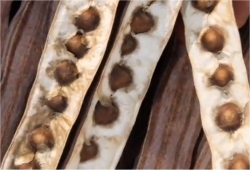 Moringa seeds are soaked overnight prior to planting just 1 cm below ground. Once you have covered the seeds, thoroughly water the soil. Whether you plant the seeds in bags, or right into the ground, they will need a thorough soaking every day, until you see the seedling emerge from the soil. Once your Moringa have sprouted, they can be watered once every other day, until they are about 18 inches tall. Then, once a week will be sufficient. 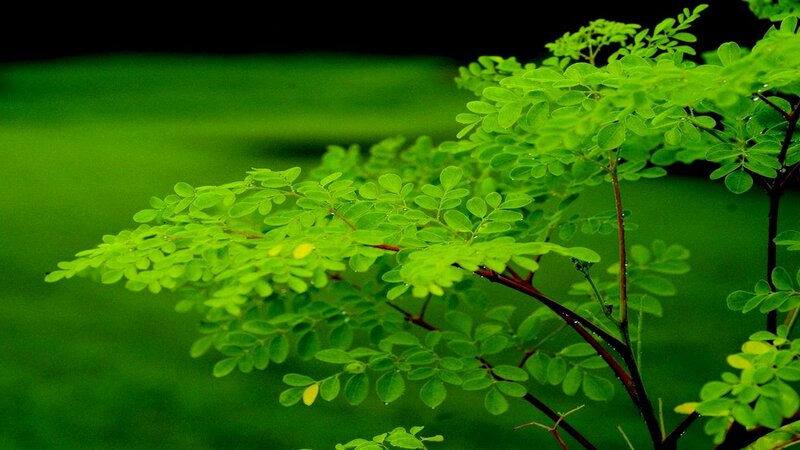 Moringa is a very drought resistant plant but will require wartering until established. Moringa trees can also be planted very close together as a field crop, at a spacing as close as ten to fifteen centimeters. 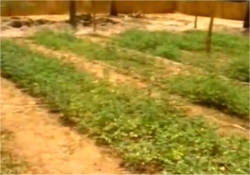 Moringa can be grown intensively with no irrigation and small amounts of fertilizer. Harvesting the leaves every 75 days—four crops in a year with around 100 tons of green matter per hectare the first year, and 57 tons per hectare the second year. 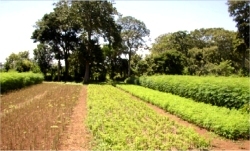 If however the Moringa plantation is irrigated and fertilized harvesting can be achieved every 35 days—nine crops per year—with a total yield of 650 tons of green matter per hectare. This yield can be consistent from the same plants for seven years. 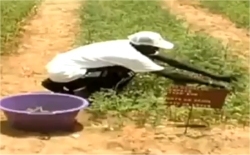 Using this technique of intensive cultivation, plots of Moringa are planted on a rotation schedule, so that there is an ongoing supply of green matter. 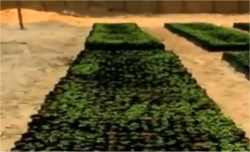 The plants are harvested 10 cm above the base, and all of the leaves and green shoots can be used. The green tops grow back in 35 to 75 days, and are ready to be harvested again. 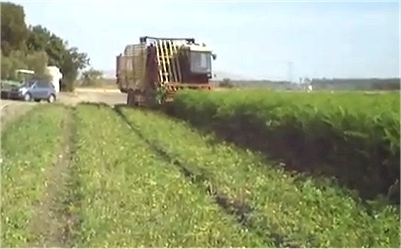 Seen here a commercial Moringa harvesting machine. UCT is believing God to establish a commercial Moringa Plantation on part of our 26,000 hectares of land in DR Congo. Moringa can be planted as a living hedge, plant the seeds into the ground about 1/2 - 1 meter apart. 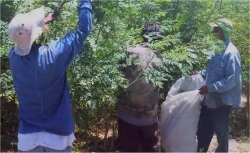 Pinch back every other new leaf growth, to force the tree to grow like a bush, and once they are about 1/2 meter tall, cut the branches in half lengthwise, and pinch back the new leaf growth that will sprout out at the top of the Moringa tree. Seen above the 20 acres we are believing God to purchase in Tanzania PowerPlay Child Care Centre. The estimated purchase price is US $5,000. 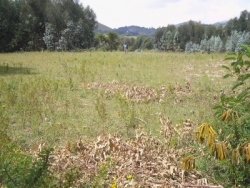 This land is located next door to another 20 acre plot that the Korians are going to build a Bible School and we believe this is a Divine connection. Moringa can be planted 1 meters apart, in rows that are at least 2 meters apart, for easy weed removal and walking through the rows. This will allow the Moringa to grow tall and mature. 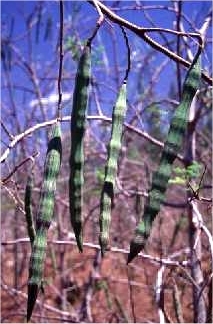 These mature Moringa can provide pods for eating and seeds for propagation or the production of BenOil. 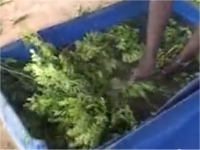 • Once established Moringa sends a tap root down to the water table making it drought tolerant. 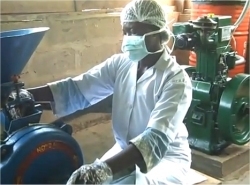 • It is a nitrogen fixer and can be used as a fertilizer. 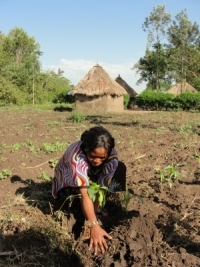 • It is a sustainable food source for third world countries where malnutrition is prevalent.